Portland, Maine-based Baker Newman Noyes (FY12 net revenue of $27.7 million), an IPA 100 firm, admitted Jeremy Veilleux as managing principal of the firm’s Manchester and Portsmouth offices in New Hampshire effective Jan. 1. As a member of the health care, banking, not-for-profit and commercial practice groups, Veilleux focuses on proactively identifying and communicating critical business, regulatory and accounting solutions for his clients, helping them to improve efficiency, while reducing operational costs and risk. Veilleux replaces Karl Heafield, who managed the offices from 2009-2013. Heafield will continue in his role as principal, specializing in serving as a tax advisor to commercial enterprises and their owners. James Kerr has been admitted as partner to West Hartford, Conn.-based Blum, Shapiro & Company (FY12 net revenue of $47.8 million). Kerr is an author and business consultant. “There is a culture of excellence at BlumShapiro that I am proud to be a part of – it is their ability to provide a wide breadth of experience and expertise that distinguishes them in the marketplace and enables them to deliver tailored solutions to each client,” says Kerr. Windham Brannon (FY12 net revenue of $20.1 million) of Atlanta admits new leadership team for its high net-worth practice. Barbara Coats and Courtnay Bazemore will serve as co-leads for the firm’s growing practice area, with a continued focus on providing high-level tax counsel to help individuals and families preserve and grow their wealth. Coats and Bazemore succeed Jim Underwood, who retired in January. Hughes Pittman & Gupton (FY12 net revenue of $11.7 million) of Raleigh, N.C., admitted Tom Fagley as partner effective Jan. 1. 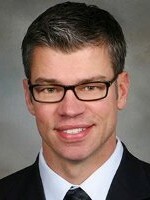 Currently serving as the co-leader of the HPG life sciences team, Fagley has been at the firm since 2006. He has more than 18 years of public and private accounting experience. 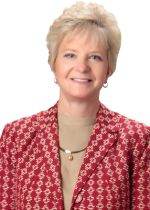 Diane Medley, MP at Louisville, Ky.-based Mountjoy Chilton Medley (FY12 net revenue of $37.2 million), has received a Woman Business Owner of the Year award. The National Association of Women Business Owners’ Louisville, Ky., chapter presented awards in to owners of large and small businesses during its 20th annual EPIC Awards event recently. In 1988, Medley co-founded Chilton & Medley LLP, which merged with Mountjoy & Bressler LLP in 2009 to form Mountjoy Chilton Medley. Medley is the only female MP in the United States’ top 100 professional and financial service firms. In 1995, she was one of Business First’s Who’s Who in Finance and Accounting. 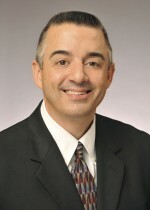 Southfield, Mich.-based Plante Moran (FY13 net revenue of $411.3 million), an IPA 100 firm, has admitted Paul Blowers as CIO. Blowers is taking on the role of CIO following the upcoming retirement of Doug Brady, who has been with Plante Moran since 1987. Blowers will be responsible for the information technology that supports Plante Moran’s enterprise goals. 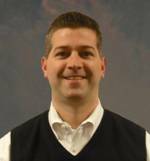 “We are pleased to welcome Paul Blowers to Plante Moran. His cross-sectional, global experiences made him an excellent choice to lead our demanding and comprehensive technology and information needs,” says MP Gordon Krater.